“Unfortunately, the paucity of substantive responses to my [questions] has served only to substantiate my fear that the commission’s proposed path with respect to the regulation of broadband is based on unsound reasoning and an incomplete record, and is thus fraught with legal risk,” Dingell said. He said the commission should instead look to Congress to grant it more power. The fact is that the Free Press/Google “third way” to Net Neutrality is an illegal power grab online. Support for it is the radical extremist position. Speaking of Free Press, Digital Society rips them for some terrible logic. Free Press is equating iPhone jailbreaking (the process by which people circumvent Apple’s limits and install whatever software, or run on whatever wireless network, they want) with Net Neutrality. Nick Brown at Digital Society makes good points against that argument, but I have a simpler one: Net Neutrality is like the App Store, not unlike it, because it creates a central authority to regulate all activity in the name of better operations. If you like jailbreaking your iPhone, then oppose Net Neutrality regulation so we don’t have to jailbreak the whole Internet. This one’s a little more technical than usual, but it’s funny. 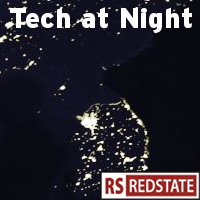 The Democratic People’s Republic of Korea, or North Korea (pictured in our Tech at Night logo in the literal darkness of tyranny) has a website. But it has a problem: It wasn’t written very competently. The regime seems to have since fixed the oddity, but it’s still good to laugh at Communists, whether the old Stalinist/Juche kind, or the neo-Marxist Free Press kind. Are you afraid of Google monitoring your Internet activities? If you use Mozilla Firefox, get the Google Alarm which will warn you whenever Google’s trying to spy on your activities. I’m using dramatic language (and the Alarm certainly uses a a dramatic warning), but the technology is there and the possibility is real. The databases exist, and if they exist, they can be broken into by bad guys, subpoenaed by the government, or anything else. Some people think that things on the Internet aren’t “real.” You see people distinguish between “IRL” friends and online friends, or get indignant when people demand basic manners during online activities, replying that the Internet is not “serious business.” But it is, and Wikileaks was a party to treason by Americans, says Peter King. One more for the road, though I have to hurry because it’s now 11:59PM on Wednesday as I write this. If you want to know why I think the Digital Millennium Copyright Act (DMCA) is overbroad, and that the right to reverse engineer Digital Rights Management (DRM) should be retained in all cases, read this story about 12,000 people effectively ripped off by Valve.